To depict Krishna and his rasa-līlā as something totally unlike what we ourselves know of happiness and pleasure is suicidal, for it causes us to feel that Krishna is irrelevant to what we spontaneously, naturally, and powerfully want and need. The fact is that nothing could be farther from the truth. Krishna is called “Krishna” for a reason! Rāma. Govinda. Madan Mohan. Rasarāja. Gopi-vallabha. All these names are bursting with exactly the flavor and experience our heart and soul spontaneously, eternally crave. If we deny or ignore that, why should we be surprised that our bhajan lacks life and attentiveness? Yes, something also needs to be said to explain that our concept of happiness and pleasure pales in comparison to the pleasure and happiness experienced in rāsa-līlā. This is fine! Say it loudly, for it is also inspiring and powerfully attractive to us, right now, and for real. And let us clearly explain that this difference arises because of a fundamental difference in the nature of our approach to pleasure (karma and kāma – “selfishness”) vs. Krishan’s approach to it (līlā and prema – “selflessness”). Stress this all you want, and then some, otherwise we will never attain that all-attractive rasa! But please beware of depicting Krishna as utterly “transcendental” as if “transcendental” means having no similarities at all with what we already understand and have spontaneous emotional attachment to. 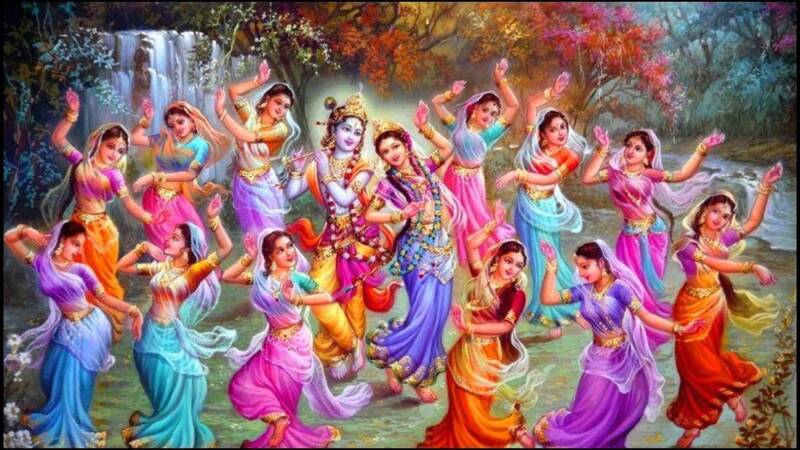 Besides being philosophically inaccurate, it will prolong our spontaneous disinterest in Krishna and his bhajan.